Why is it necessary for your arms to enter the water at 11 and 1 o'clock during backstroke arm action? Your assumption of an 11 and 1 o’clock entry is not quite correct. For backstroke arms to be both efficient and effective, the entry must be in line with the shoulder, with the upper arm just brushing the ear. Using your visual analysis, that would make it about parallel to 12 o’clock. For the arm pull to have maximum effect it must pull through almost 180 degrees. The little finger and side of the hand cuts its entry into the water to begin the propulsive phase. Propulsion then occurs as arm pull through 180 degrees to the hip. If the arms were to enter the water at 11 and 1 o'clock there would be a loss of power due to having less water to pull through and the wider entry would the whole body less efficient through the water. 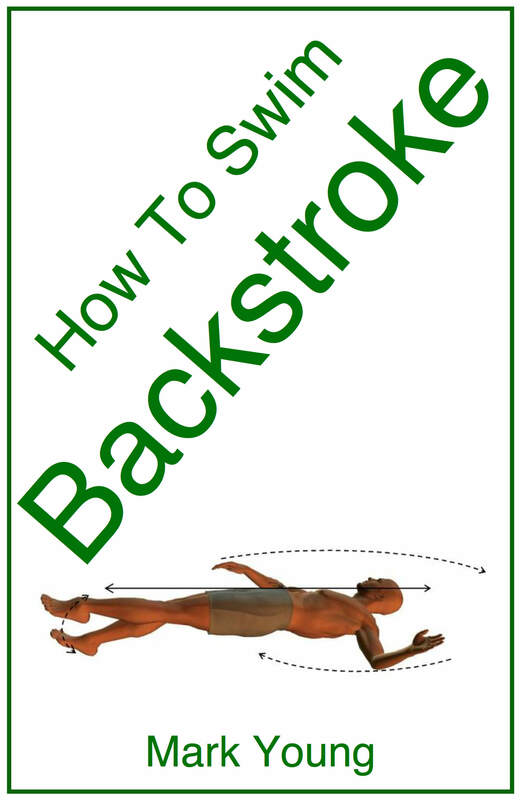 For a more detailed analysis of backstroke arm action click here. For detailed breakdown of the whole stroke and 20 separate exercises to help learn and improve backstroke swimming technique, including the arm action, click the link below. How does in-toeing aid propulsion? How does in-toeing aid propulsion during backstroke leg kick? Good swimming is all about efficiency through the water and good efficiency is achieved with a streamlined body position. In-toeing aids propulsion by reducing drag and resistance and assists to promote a streamlined body position. When an object or body moves through the water, whether it is pushed, pulled or driven, it leaves behind swirls of water called Eddy Currents. These eddy currents attempt to pull back the moving object therefore causing drag. Eddy currents are always present no matter how efficient the moving object is through the water but the narrower and more streamlined the object, the less effect eddy currents have. An in-toeing backstroke kick will therefore be more streamlined and generate less drag. With regards to propulsion, in-toeing may not increase propulsion but will assist it by decreasing drag. Is there an easy way of turning over from backstroke to front crawl or breaststroke? I seem to have a problem with this. There is no actual technique as such for turning over from backstroke to swimming a stroke on your front, but I completely understand your frustration on this one. You probably turn from back to front and feel it is the most untidy and clumsy movement of your swimming! The best way to describe the kind of movement you need is a ‘log roll’. As you swim on your back performing your backstroke your body position is long, flat and horizontal (assuming your technique is correct). Your backstroke arms will be pulling one after the other, so one arm will always be out of the water or stretched out along the side of your head. Perform your log roll either with one arm by your head and one by your side, or with both arms by your sides, whichever is most comfortable for you. When you actually roll, you must ensure you do not bend your knees up, do not raise your head out of the water and do not let your hips sink. In other words maintain your long flat stretched out position and simply roll onto your front. From there you can begin to swim whichever swimming stroke you wish to do from there. The log roll is the best way to move from back to front or indeed from front to back quickly and decisively, whilst at the same time maintaining stability in the water. The moment you raise your head, bend your knees or allow your hips to drop the result will be that unstable sinking feeling! Maintain a flat position for a smooth transition from back to front and this will maintain the rhythm of your swimming stroke. Clearly presented simple theory and fully illustrated to show exactly what each part of your body should be doing. 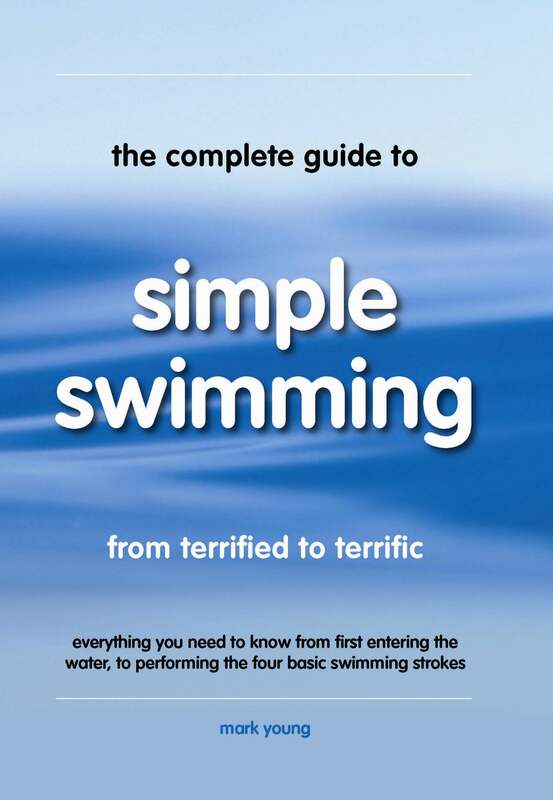 Learning to swim made simple.